View a live demo and try Wedding QuickQuote™ for yourself. Experience the same process as the Bride-to-be or Wedding Planner as you move through the interactive platform of the WeddingQuick Quote™. Sense the shift from “same old” to: helpful, supportive, cooperative, and WOW-thank you- when an Instant Answer is presented within seconds. The image of your property is now one of service and trust and puts you ahead of the competition. The Wedding QuickQuote format is a relationship builder and creates a personal online conversation with your potential client. The pick & click presentation becomes a strategic a part of your team as it displays, sells and qualifies the online user. Because every venue is unique, we work with each client to create wedding planning pages that reflect the character and personality of their property. Images, colors, and fonts create a seamless connection to your site. There is no limit to the number of packages, amenities, and services that can be displayed. The WeddingQuickQuote is a self-motivating sales tool, suggesting and displaying options to ignite the imagination, allowing users to select their ceremony and reception choices. 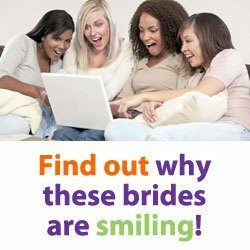 The WeddingQuick Quote is an exciting application that takes the stress out of site selection for both bride and venue. Complete this Demo Quote and you will receive a copy of it in your email, just as your sales team will receive a copy when the bride completes the actual Wedding QuickQuote.